Ow me laard. More PNC slackness cause 70 Tonnes of Guyanese rice to be rejected. Guyana’s rice has been placed in the glare of scrutiny again, less than three months after several containers of rice were rejected by Panama for failing to meet stipulated requirements. This time Jamaica’s Industries, Agriculture and Fisheries Ministry has confiscated 70 metric tonnes of White Cinderella rice because of high microbial content after reaching the country’s shores. According to reports by Jamaica Observer, the Food Storage and Prevention of Infestation Division of the Ministry impounded some 1575 bags of rice. Jamaica Observer reported that the grains, which were exported by a local distributor, were inspected and was found to have signs of mould, clumping discolouration and wetting and as such, detained by a food storage inspector. These alarming discoveries ensured that a statutory detention notice was fixed, and samples were submitted to the division’s microbiology lab for testing. Jamaica Observer noted that the results from the tests demonstrated that the rice contained microbial levels which are beyond the accepted limits, thus making it inapt for human consumption. In keeping with the Food Storage and Prevention of Infestation (FSPI) Act (1958) and Regulations (1973), provisions were made for the rice to be disposed of after discussions with the importer, who is said to be a large-scale distributor from the island. This seizure is first for the year but an epidemic of poor quality rice exiting Guyana was seen in the recent months when Panama rejected some 20 containers of rice from Guyana back in September. This comes after the collapse of the lucrative PetroCaribe agreement between Guyana and Venezuela. The PetroCaribe deal was set to expire in November 2015, but Venezuela axed the rice deal months before the official due date. The agreement was sealed by the previous administration and was considered a profitable arrangement where oil could have been obtained through rice. The Spanish-speaking country has been reportedly importing rice from neighbouring Suriname. 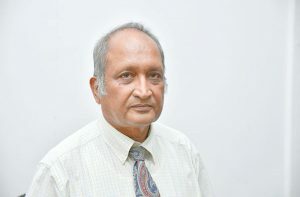 Former Chief Executive Officer of Alesie Group, Turhane Doerga spoke to Guyana Times on Saturday about this new ordeal in the rice sector, where he expounded on loopholes within the Guyana Rice Development Board (GRDB), the medium between farmers and exporters, resulting in these unfortunate events. According to him, the Board is mandated to keep tabs and conduct quality checks on all rice leaving the country. However, this is not abided by and the consequences are now being faced, as Guyana is given a “bad name” in a sector in which it once excelled. “It is very simple. The GRDB is an insult to all law-abiding rice people in this country. The rice was shipped from Guyana. 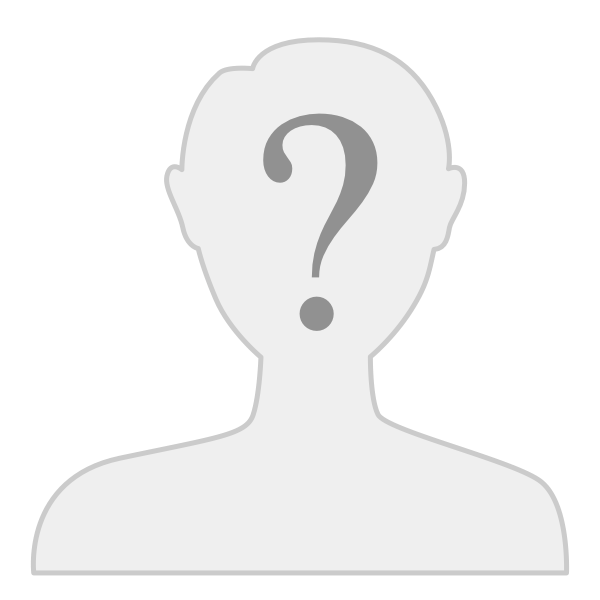 Where was GRDB? The rice millers are everybody pay them so it is corruption. Bad rice is passing and it gives Guyana a bad name. 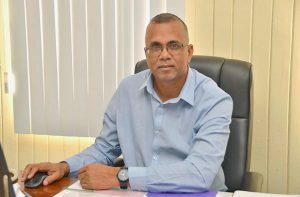 This is my concern that again, Guyana is getting a bad name because the people who are paid to make sure that quality is shipped are not doing their jobs,” Doerga said. The miller made it clear that the international rice market is aware of these infringements in quality and chastised the rice Body for improper management, which has affected farmers significantly, especially since they now receive less for rice. The Rice Producer Association was also called out for not addressing these issues from the inception. He recalled the previous infringements in rice exportation and reminded that quality is not being taken as a priority. According to Doerga, Guyanese rice is superior in quality but this is not what is depicted in the exported goods due to slackness at all levels. The rice expert also highlighted the poor marketing strategy which the country has adapted, thus resulting in the evident “downward spiral”. “We had the Panama thing and then the Venezuela thing and it was all about quality. We have absolute top quality rice in this country so why are these things happening? To me, Guyana rice is being sold for whatever they can get so there is no proper marketing being done and it’s simply because the RPA which had to protect the farmers and fight for their rights is doing nothing. We’re in a downward spiral and this is really and truly bad. The farmers are the ones on the back end,” he explained. When contacted, General Manager of the GRDB, Nizam Hassan stated that he learnt of the confiscation through media reports. According to him, efforts were made to contact the agency responsible for the shipment and the Board is yet to receive an answer. However, he maintained that no shipment was made from the said miller for this year. “There has been no shipment from that miller that uses that brand for 2019,” Hassan said. Quality control, inspections, etc., seem to be lax or non-existent. The Guyana Rice Development Board (GRDB) says no Cinderella-branded rice has been shipped to Jamaica for the year and is surprised by reports that 70 metric tonnes of the Guyanese grain have been seized by authorities on that Caribbean island. GRDB Deputy General Manager, Allison Peters said rice shipments directly from Guyana to Jamaica usually take about seven to 10 days, and there is no record of white Cinderella rice leaving Guyana after December 2018. "According to reports by Jamaica Observer, the Food Storage and Prevention of Infestation Division of the Ministry impounded some 1575 bags of rice. Jamaica Observer reported that the grains, which were exported by a local distributor, were inspected and was found to have signs of mould, clumping discolouration and wetting and as such, detained by a food storage inspector. These alarming discoveries ensured that a statutory detention notice was fixed, and samples were submitted to the division’s microbiology lab for testing. Jamaica Observer noted that the results from the tests demonstrated that the rice contained microbial levels which are beyond the accepted limits, thus making it inapt for human consumption." Did someone take a dump in the rice hull? Looks like the PNC slop can crew failed to perform their duties. Drowning ants grabs at straws. Didn't realize that DJ was an MD and graduated with a degree in fetching PNC slopcan. Never again will I doubt the man's qualifications. This is a systemic failure! Demerara Guy finally graduated from University after attending classes for 40 years. Seems like he was taking one course per year because he did not want to take out a student loan. It took him so long that the University forgot his real name so they put DJ on the certificate instead of DG Congratulations to the late bloomer. Does this mean the rice farmers will not be getting paid again? The Minister of Agriculture has been MIA for several weeks now. Presumably getting treatment overseas for a medical condition. 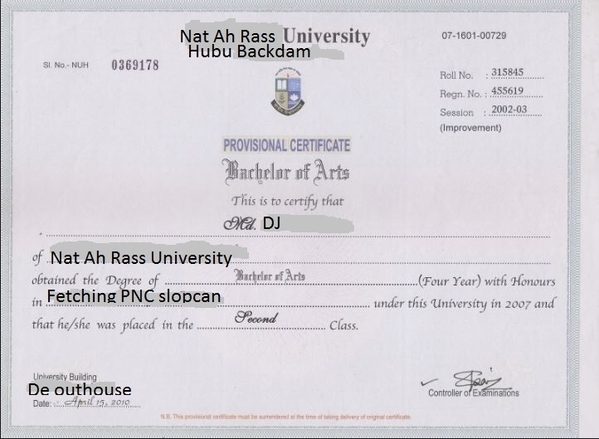 This is DJ's certification, please don't discredit the man for such a well earned acknowledgement from such an esteemed learning institution. The honorary Certificate coming soon, hopefully you don't fall off the wheelchair. It's more authentic than the one printed, the side kick seem to admire. I hope you guys are not planning to make a degree for Irfan for the election. He has enough degrees, left right and centre. Give one to DJ na man. One at the printing press coming up soon for yugly. Alyuh playing demeaning bad boys !!! Revisit the Hindus stories how the wicked and evil are put to end. Bai, like you printing up a degree for me. I don’t need any PNC degree. I like my PPP. So whats changed? Under the PPP this was also a frequent problem. Just be honest and admit that the problem lies at the feet of the rice millers. This is what you get when PNC dunces with no experience in rice are rewarded with cushy jobs overseeing the rice industry. Maybe we should important some of the descendants of the SC slaves, that you were bragging about, to have oversight of rice exports. The focused issue is on what is happening now. Perhaps those at the Guyana Rice Development Board sit in their seats and twiddle their thumbs every day with absolutely no responsibility to ensure what the enterprise is receiving and forwarding abroad. In other words; -- executing proper quality control procedures. Dem bais using up a much as they can before the election. Nah Bhai wrong person, despite many opportunity to take Photos with our great Leader I never did. yall prappa like tek out picta with politicians eh, I know that way yuh can brag how yuh know so so and have picture to prove it. Amrl, yuh tek yuh Rass pass the Champion of the Earth! !